Over the weekend, a picture of a big slab of metal with a bas-relief snake appeared on Instagram. 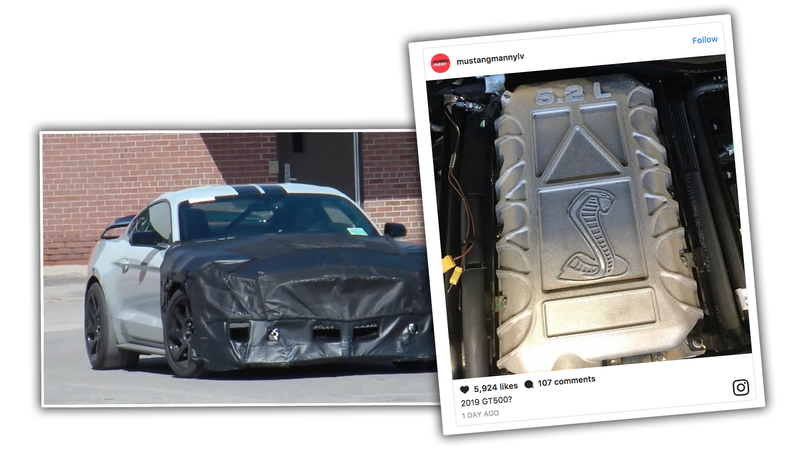 Importantly, this time the image wasn’t of a belt buckle, but seems instead to be the pulsating, 5.2-liter V8 heart of the upcoming 2019 Ford Mustang Shelby Cobra GT500. 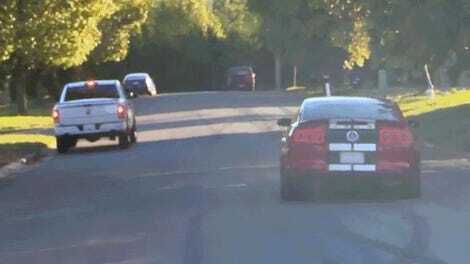 Is this our first look at the supercharged beast that will be terrorizing Cars and Coffee crowds for years to come? All we can really see here is the supercharger housing, and that the engine is the same 5.2-liter Voodoo base engine as the current GT350. Rumors about this new engine (allegedly nicknamed “Predator”) are that it will have a cross-plane crank (unlike the flat-plane crankshaft of the GT350), and also that it may be making around 800 horsepower. Of course, these are just rumors. Whatever the true number is, however, it’s starting to sound like Ford needs to step it up in the muscle wars. There’s a Camaro with over 640 horsepower, and a Dodge with over 800 horsepower.